Aside from those hashtags, he also threw in that gritting teeth, smiley face emoji to perfectly sum up his excitement about the big news. To build the suspense, Shelton has been responding to fans' questions and throwing a few hints out there. When one Twitter user asked if it was personal or professional news, the country singer said, "It is a combination of the two... Hmmmm... Got you thinking now huh?" Despite his assumption that nobody can guess the news, I'm going to try my best. Here's a round-up of ideas to hold everybody over until Blake Shelton's announcement actually happens. What would be a better combination of his personal and professional life than a duet with his new girlfriend? Plus, it was recently reported that the two worked on a country song together. This seems to be the most logical guess. Or maybe he'll become the newest member of No Doubt — that'd be cool. 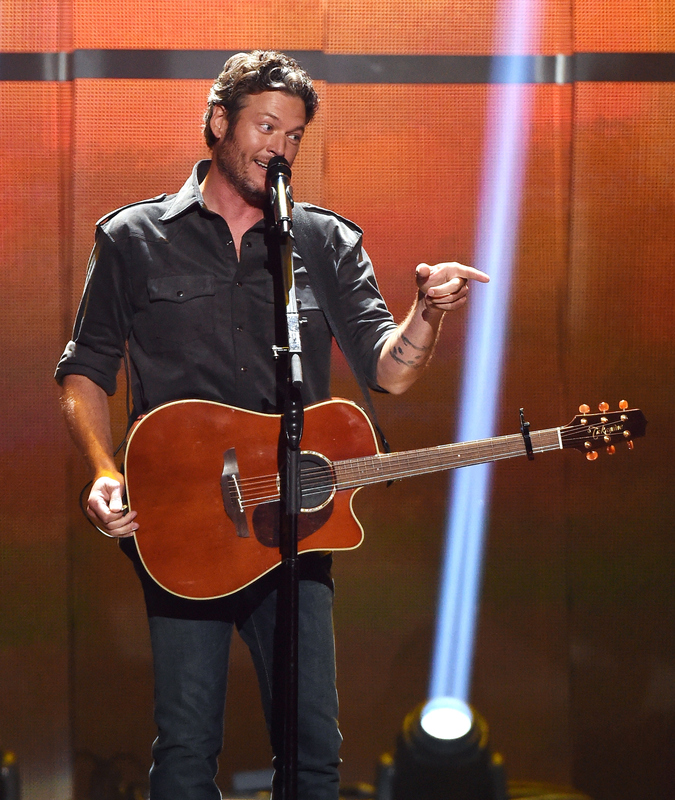 Maybe Shelton is adding more stops to his 2016 tour. Perhaps he's adding some international shows to the mix. That would be pretty great, huh? Could it be a reality show about his bromance with Adam Levine? Or maybe another talent search show. Either will suffice. Why should Kanye West get to have all the fun? Maybe Shelton is throwing his hat in the ring for the 2020 election too. Because I'm not the only who's been brainstorming, here are some of fans' funniest and most creative ideas. While this tweet is a little absurd, maybe he is designing a clothing line of some sort. I'm gonna vote "no" on the Juicy tracksuits. Plot twist: One fan suggested he's getting married to Levine. OK, this one can't be true though, because Shelton already said the announcement is not a wedding. Personally, this is my favorite of all the suggestions. If he can cover my loans too, that'd be awesome. Unlikely, but amusing nevertheless. I'd love to see him in a caveman get-up on a brand-new Geico commercial. If none of the above are true, I'm officially stumped. Can it just be Monday morning already?